Lyme Disease – What’s in what bit you? Lyme disease is no longer considered just a debilitating tick-borne illness, it is now thought more of as an insect-borne disease which can lead to serious health issues if the person exposed to the bug is not treated within 48hours. However, painful symptoms such as fever, headaches and fatigue can often be attributed to lesser illnesses such as the flu, with symptoms as diverse as headaches, muscle aches and joint pain or autoimmune conditions such as arthritis, chronic fatigue and fibromyalgia, therefore the Lymes disease is left undetected and hence incorrectly treated. We know from www.nutrmedix.ec that Lyme can mimic or contribute to more than 350 other common illnesses. A story in the daily mail recently reported an eight year old girl in Australia visited 23 doctors before being correctly diagnosed after being bitten by a tick on a beach. Misdiagnosis of Lyme disease is common because the symptoms resemble so many other illnesses and it is hard to detect the bacteria with the current lab tests available. One of the questions I always ask new clients is ‘Have you been bitten or stung by anything, ever?’. Recently some celebrities have come forward to raise awareness of Lymes including Avril Lavigne, Alec Baldwin, George W. Bush and Ben Stiller and John Caldwell, famous millionaire has also appeared on this morning talking about how he would swap ‘wealth for health’. Lyme disease is one of the most common tick-borne infectious diseases and is caused by a bacterial spirochete, Borrelia Burghorferi, spread by the black-legged tick (Ixodes scapularis) which transmits the virus to humans through a bite. The bacterium Borrelia burgdorferi , can proliferate to every area in your body, hiding from and at the same time suppressing your natural immune system. A weakened immune system, a poor digestive system, a complete lack of energy, suboptimal cellular function , chronic bacterial infections, and exposure to environment toxins and pathogenic microbes such as molds and parasites, can make things much worse for those who suffer from chronic Lyme. There are now more and more cases reported by people who have struggled for years with undiagnosed symptoms that conventional doctors overlooked. And why, because not only are the symptoms often overlooked or misdiagnosed, but also the testing for Lyme disease is unreliable. The Elisa test often returns negative (due to the essential array of the test having been removed) and the Weston Blot requires some levels of antibodies, which are not present until there is some level of recovery. The more reliable MELISA test is beyond the means of most but the elite few. Armin labs are the most reputable for reliable tests, however, their test results may not be recognised by your UK practitioner. It is very frustrating to hear of clients who have exhausted energy and resources into testing instead of treatment, yet understandable when ‘Now that you know (or even don’t know) – where do you go? Well here’s what you need to know, so you know where to go. Dr. Dietrich Klinghardt is one of the world’s leading authorities on Lyme disease, he suffered with it himself and is passionate about finding effective natural treatment solutions. He teaches that it’s not the presence of Lyme that is the problem, but people become symptomatic when the immune system is suppressed by the spirochetes. He also believes that conventional doctors misdiagnose many cases of Lyme as fibromyalgia. I trained with him at Autism Solutions in October 2015 and since then he has been involved in further seminars on Chronic disease, under the ‘Lifting the Veil’ series hosted by the AONM, (who are also the UK distributors for Armin Labs – Specialists in tick-born testing). Breakespeare medical are one of the few medical clinics in the UK who recognise Lyme disease (and the co-infections) and have been treating environmental illness since 1982. First thing to note, if you get bitten by a tick and you get the bullring rash, as well as going to you GP, contact your nearest SCENAR practitioner, who will administer a protocol called the ‘Bee Sting’. It sounds brutal, it isn’t and it could prevent the onset of chronic Lymes disease. To find you nearest SCENAR therapist, check the SCENAR directory. You GP may have prescribed antibiotics for treating Lyme and many conventional doctors stop there hoping a few courses of antibiotics will make things better. However to truly recover from Lyme disease, you need to address a holistic approach across the 7 pillars of health and the 5 levels of healing so you get to the root cause of why your immune system was weak and you developed chronic Lyme disease, and this is the key, yet a little-known fact. Lyme does not just come from a tick bite, we can inherit it and it can lay dormant for many years, until suddenly the condition are right and triggers, set it off and suddenly you have a debilitating illness which you can’t get adequately tested for, diagnosed or treated. It can be common to carry spirochetes and yet not develop chronic Lyme disease, Lyme spirochetes have been around for a long time and some experts suspect many people have been exposed to them in some form. There is also a theory that about 40 years ago, they became more aggressive and illness-producing than they were before, but it is unknown whether this is linked to wi-fi, resistance to products such as glyphosate, or the increasing weakness in our own immune systems which have become compromised due to the increasing levels of environmental toxicity and suppression of immunity from external factors, such as antibiotics and vaccines, hence some people are more susceptible than others. It could also be that you were bitten, but had a stronger immune system at the time, so didn’t react, yet further down the line, other co-infections have weakened the immune system. If you suspect Lyme, the first step is to complete the Horowitz Lyme-MSIDS Questionnaire*. This will help you pinpoint many Lyme-related symptoms and their severity. The Functional Medicine approach treats the person, not the disease and at Equilibrium Health we use ASYRA bioresonance health screening to carry out, real-time energetic testing to get an insight into the underlying core imbalances and systems to understand WHY it happened, not WHAT is it, before moving on to find a personalised treatment plan. 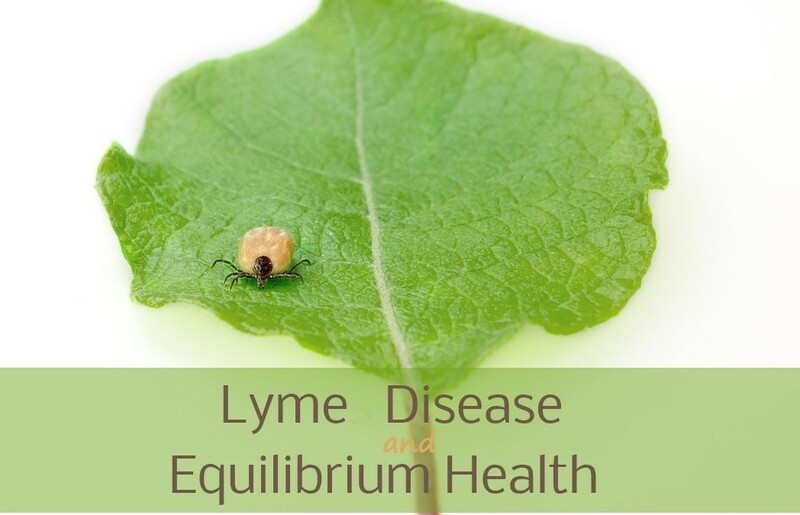 Lyme Literate practitioner’s will have trained with Dr Dietrich Klinghardt including Lyme solutions, work with his Lyme protocol and use his recommended ‘Klinghardt Approved’ products from BioPure, KiScience Protocols as well as the Stéphane Provencher Lyme Protocol and be familiar with the Lee Cowden herbal programme . For more information on Lyme disease, you may find the most recent Lyme Summit 3 event useful. Treatment can be anything from one week to five months is the longest time reported by an ASYRA practitioner using this protocol. The treatment is completed over four consecutive weeks, and then retested until there is no further detection of Lymes. Remove stressors: get rid of things that negatively affect the environment of the GI tract including allergic foods (gluten, dairy, corn, soy, eggs and sugar which can lead to food sensitivities), infections (parasites and ptential problematic bacteria or yeast), and gastric irritants like environmental toxins (chemicals, or heavy metals). You don’t need the hassle, embarrassment or expense of a stool analysis, we use the ASYRA Pro to screen energetically. This might involve using an allergy “elimination diet” and we use the ASYRA to find out your individual food sensitivities, so you don’t have to cut out whole food groups from your diet which can lead to nutrient deficiencies. For those who are highly toxic, we may to look at how to modulate the immune system or even recommend a course of Iso-immunotherapy. Replace the healing ingredients missing from the body required for proper digestion and absorption that may have been depleted or compromised by diet, disease, aging or other factors. The Leaky gut diet is easy to follow and you may need to replace digestive secretions such as digestive enzymes, hydrochloric acid and bile acids to aid digestion or identify the main nutritional deficiencies and understand WHY the body is unable to access, absorb or assimilate them. Again, we use the ASYRA Pro to determine if you require any additional product support and find the right supplement and the correct dosage. Help beneficial bacteria flourish by ingesting probiotic foods or supplements that contain the “good” GI bacteria such as bifidobacteria and lactobacillus species, and by consuming the high soluble fiber foods that good bugs like to eat, called prebiotics. Probiotics are beneficial microorganisms found in the gut that are also called “friendly bacteria.” Use of antibiotics kills both good and bad bacteria. Probiotics in the form of supplements or food are often needed to help re-establish a balanced gut flora. Fermented foods, such as yogurt, miso, and tempeh are food sources of probiotics. Prebiotics are food ingredients that selectively stimulate the growth of beneficial microorganisms already in the colon. In other words, prebiotics feed probiotics. Prebiotics are available in many foods that contain a fiber called inulin, including artichokes, garlic, leeks, onion, chicory, tofu, and other soy products. Grains such as barley, flax, oats, and wheat are also good sources of prebiotics. Another good prebiotic source is a supplement called “fructo-oligosaccharide” or FOS. We use the ASYRA Pro to source a probiotic supplement that contains beneficial bacteria such as bifidobacteria and lactobacillus species. (Our favorite for both synergy and immune support is Bravo yoghurt). Support the lining of the GI tract repair itself by supplying key nutrients that can often be in short supply in a compromised gut, such as zinc, antioxidants (e.g. vitamins A, C, and E), fish oil, and the amino acid glutamine, as well as herbs such as slippery elm and aloe vera. Following the Leaky gut diet will provide most of the essential building blocks and we use the ASYRA Pro to check if they are any additional requirements. Consider the other lifestyle choices which contribute to health: Sleep, exercise, and stress can all affect the GI tract. Balancing those activities is important to an optimal digestive tract. The good news is that with some work and effort, you can successfully treat Lyme disease and ASYRA bioresonance practitioners can complete health screening protocols and commence treatment plans for their clients, with or without a diagnosis – Why wait? Instead, become proactive about eliminating this disease. ASYRA bio-resonance practitioners DO NOT need a diagnosis in order to be able to treat you for Lymes disease. In fact, if you are struggling with your GP recognising your symptoms or are concerned about the costs of private labs, then consider this, we would have completed the health screening, developed with you your treatment plan, given you your remedies, nutraceuticals, herbals etc and have you on the road to recovery before your blood samples had even arrived at the Lab. 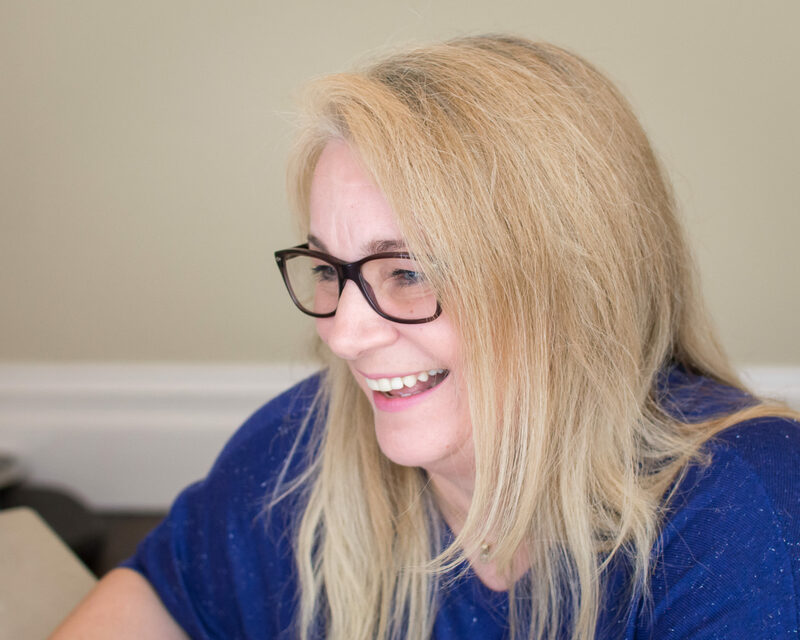 🙂 You can find us on the ASYRA website, where you can search for your local practitioner, but bear in mind, we can work from hair samples, so you don’t need to attend in person, which helps to know if you are really struggling with your condition. Also note, that ASYRA practitioners tend to niche in an area of interest or expertise, so if your practitioner is Lyme literate, they will be familiar with Stephane’s protocol. As you work with your practitioner to eliminate Lyme disease, remember, it’s not just the presence of Lyme spirochetes, it is the immune system being weakened which has lead to the development of the chronic Lyme. Therefore you cannot just suppress Lyme with antibiotics and hope to recover, there is a commitment requirement to the following strategies to help you strengthen your immune system. Nutrition – eat real food, anti-inflammatory healing food like protein, healthy fats(olive oil, coconut oil, avocado), address food sensitivities and cut out processed foods, additives and inflammatory foods such as gluten, sugar, A1 casein, lactose, soy, GMO’s, sweeteners. Supplement with functional foods, medicinal plants, you’ll find so many in your kitchen cupboard. Eat your anti-biotics, apple cider vinegar – natural antibiotic, as is garlic, also herbs spices turmeric, ginger, cayenne, cinnamon, have anti-inflammatory properties, also bee products if you don’t have a bee allergy. Repopulate the microbiome with both Pre and probiotics, home- made fermented vegetables, sauerkraut and drink kefir and kombucha, the grains are so cheap amazon/eBay. However, my recommendation is Bravo probiotic for the naturally occurring GcMAF to boost your suppressed immune system. Reduce your toxic load, go through you household products and personal care products and get rid of anything with BPA, PCB’s or aluminum, other metals etc or anything with a black cross in an orange square – especially glyphosate (round-up). Hydration, filter your water, keep hydrated, not drenched adding lemon juice and Himalayan crystal salt to water makes a fantastic natural isotonic or try mother nature’s isotonic coconut water. Glass of lemon juice with ACV first thing in the morning to alkalise the body and add natural antibiotic honey and spices to naturally sweeten and provide natural anti-inflammatory support. Physical activity, gentle stretching, movement, to keep subtle, active without overdoing it, work on core strength. Stress, reduce sources of stress, toxic emotions, breathwork, meditation, yoga, positive visualisation – of yourself in perfect health. Low-dose immunotherapy (LDI), Isotherapy and Iso-immunotherapy. Since it is a suppressed immune system which may be at the root cause of the problem, we need to desensitise any abnormal immune reactions and at the same time strengthen the immune system. Immuno therapies are especially useful for allergic conditions. Allergens, such as dust mite, ragweed, hay, and pollen cause certain individual’s immune system to overreact. When the allergen is known, it is collected and sent to the laboratory, where it is sterilized, diluted and given as a remedy to the client as either an injection or homeopathic preparation. The client then takes the allergen in the form of a remedy that caused his system to overreact. The substance at the infinitesimal attenuation desensitizes the immune system and eventually stops the hypersensitivity reaction to the allergen. Allergen – a substance that causes an allergic reaction. Antibody – a blood protein produced in response to and counteracting a specific antigen. Antibodies combine chemically with substances which the body recognizes as alien, such as bacteria, viruses, and foreign substances in the blood. Allergy – a reaction between the allergen and the antibodies. A damaging immune response by the body to a substance, especially a particular food, pollen, fur, or dust, to which it has become hypersensitive. Antigen – a protein, which is usually foreign to the body, that stimulates an immune response resulting in production of an antibody. A technique used world wide to produce a low-dose concentration of an antigen which can then be safely used as regular desensitisation treatment. It is well tolerated by clients who have contraindications for suppressive allergy therapy, or who by choice prefer not to suppress symptoms. It is administered by injection. To combat a recurrent infection, homeopathy uses Isotherapy . An infection is treated with an identical disease agent prepared from microbial secretions that come from the client. Secretions may include pus, scabs, or urine. To avoid degradation, the secretion is placed in a special container, and sent to a homeopathy laboratory, where it is submitted to a cold sterile filtration. A remedy is then prepared and sent back to the patient within twenty-four hours. A technique used by bio-resonance practitioners where the advantage is negating the need for either a lab or injections, therefore clients an not restricted by the number of antigens a lab can produce. A sample of hair, saliva and urine from the client and the bio-resonance machine is used to capture the frequencies of the allergens in the immune system and imprint into a stable remedy. Read my clients email below who recently recovered using this protocol. I had sent him an email to tell him about Dr Klinghardt’s Lymes solutions event in February 2016 and his response was, “I’m too well to come, I’m off on a sailing course instead”! – It’s such a joy to hear these stories, as he had been so ill.
How can Cleanse, Nourish and Heal Help? Good health is a birthright and shouldn’t only be available to those who have the affordability to invest in their health. All our clients are introduced to the 7 pillars of health and the 3-day sugar cleanse as part of their healing journey, but this is also our FREE gift to anyone who wants to take back the control of their health and stop suppressing their symptoms with medications which can lead to further health challenges. Instead, embark on the healing journey. This is not for the faint-hearted, it’ not a magic pill or quick fix and if you don’t believe in functional foods, medicinal plants and accessing your innate healing ability, then this is not for you. Cleanse, Nourish, Heal. If you are experiencing any of the above symptoms and you would like to find out more about how we use the Equilibrium 4R approach. Please feel free to book a call with me at the link below! To find out more about working with me, please read about my Lyme & Co-infections health screening service. Or if you have any questions, then schedule a FREE chat with me.